If you're not the team admin, send this page to them. You need to have administration privileges to proceed. 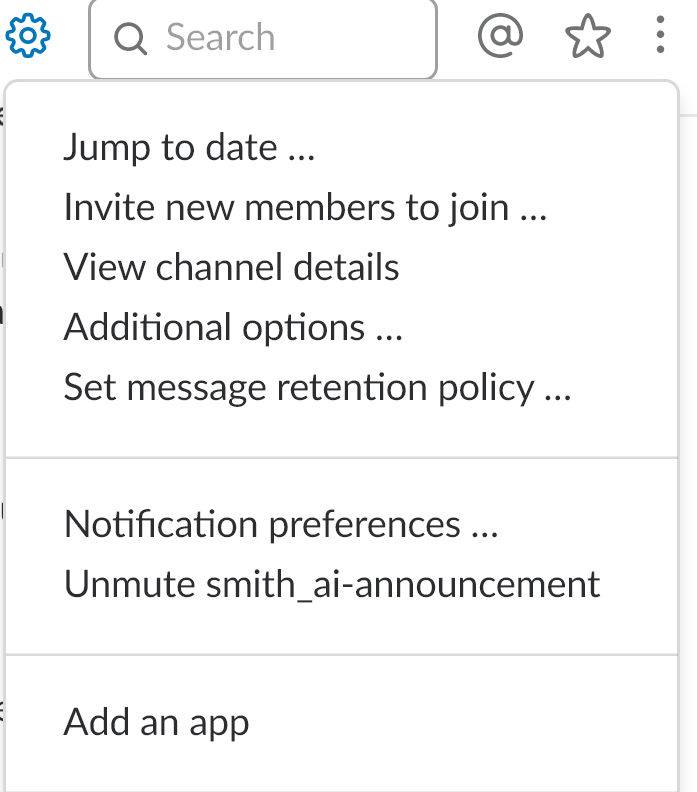 If you haven't made a channel in which you want to receive your Smith.ai call summaries, do that now by clicking "create a new channel"
Select the channel you want from the dropdown (select) menu and choose "Add Email Integration"
We will confirm when this is set up for you. It should usually be within the same business day. That's it. Please let us know if you encounter any issues and we'll be happy to help. 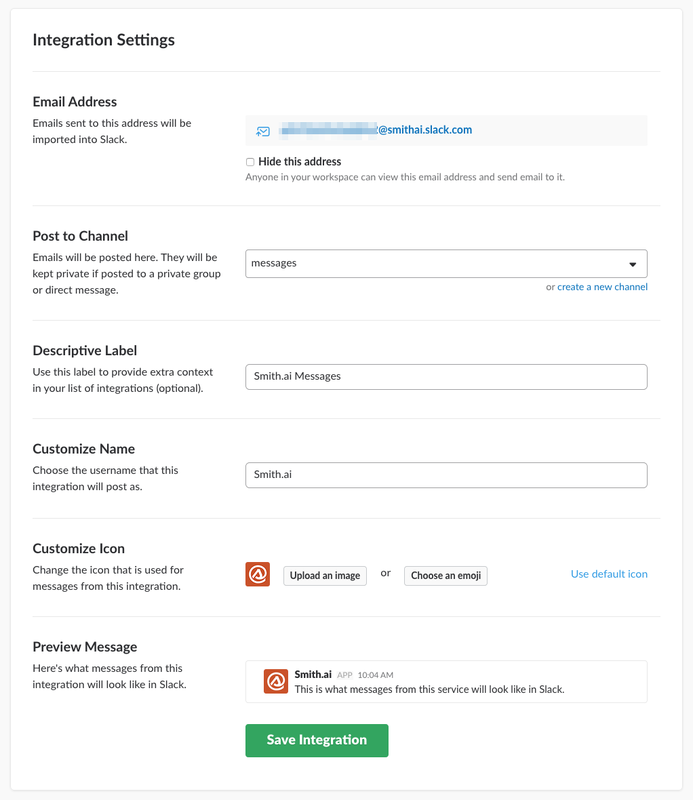 Receiving notifications from Smith.ai in Slack is as simple as emailing us your workspace link, creating a dedicated channel for Smith.ai, and then authorizing Smith.ai to communicate with you in that channel. 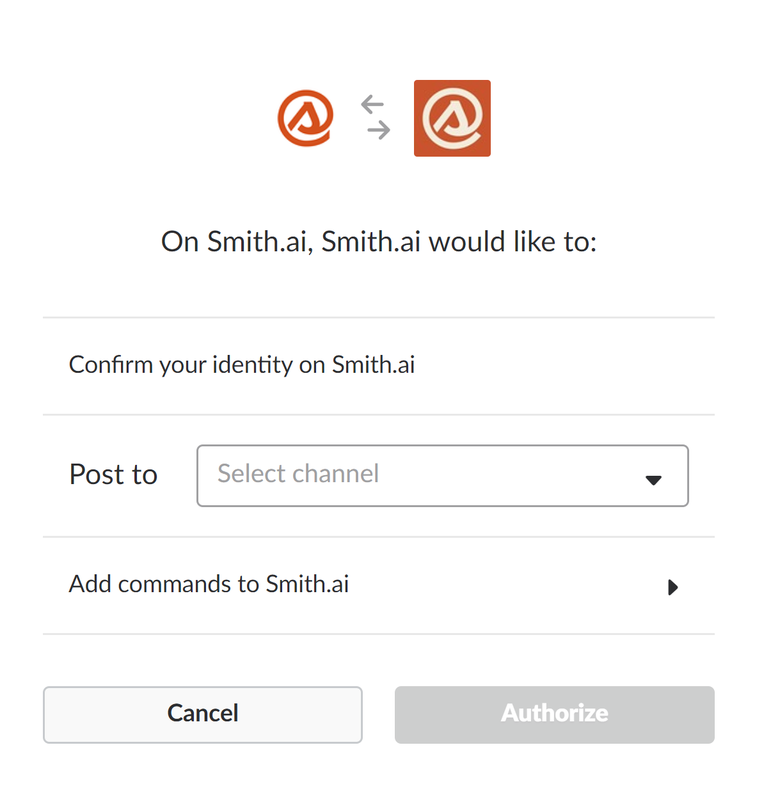 Send a request to "authorize Smith.ai notifications in Slack" to support@smith.ai. 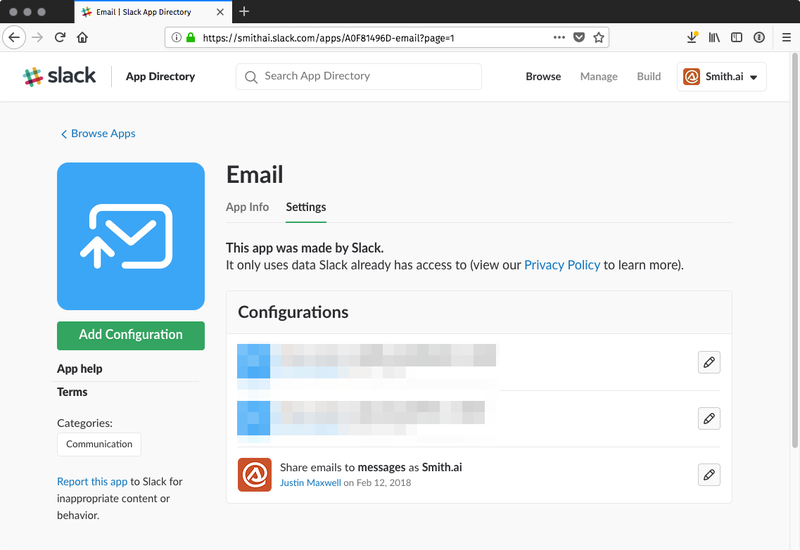 Include your workspace link in this email (e.g., Smithai.slack.com). Wait for email confirmation from the Smith.ai support team that your request has been approved. This will typically happen within 2 business days. 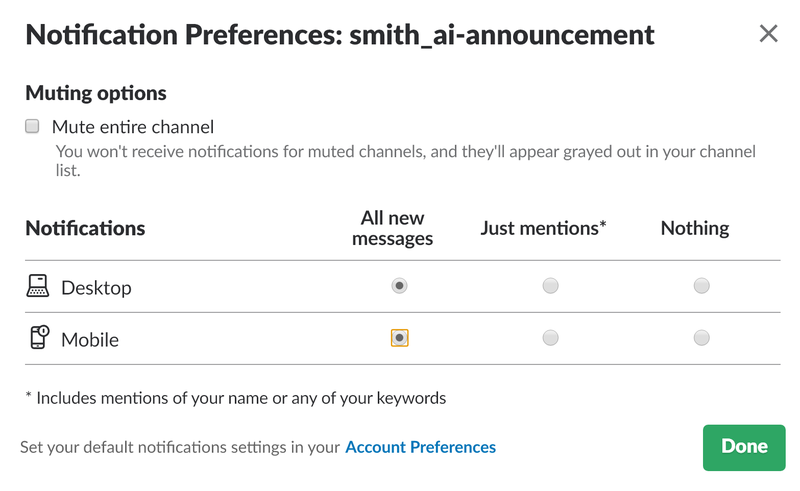 Click on "Notification preferences ..."
All set! 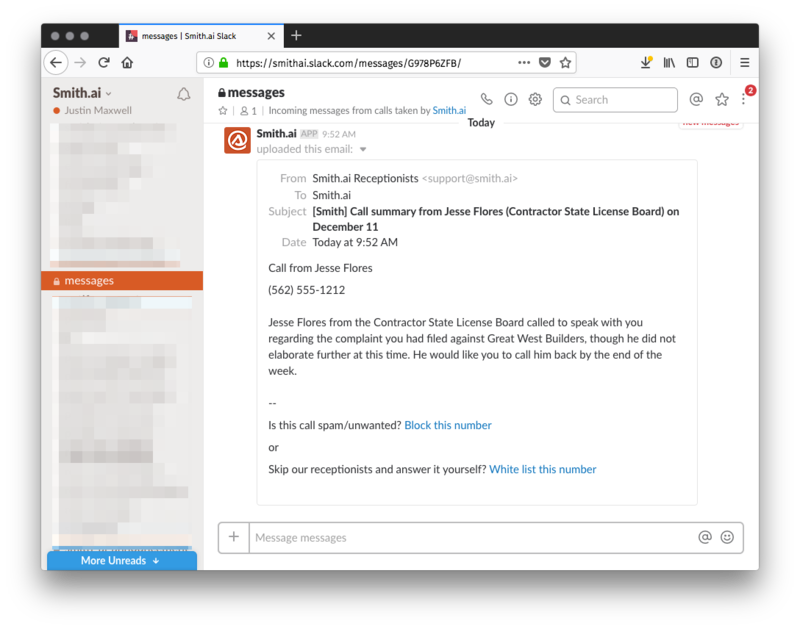 You'll see notifications from Smith.ai every time a call comes in that meets your "live transfer" criteria. Click "Yes" to approve the transfer request and have the call connected to you. 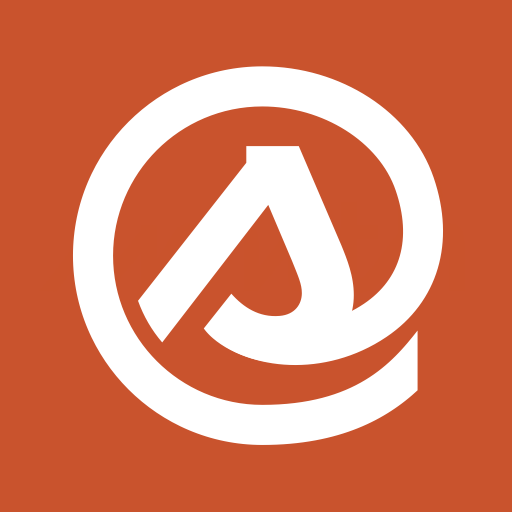 Click "No" to deny the transfer request and have your Smith.ai receptionist handle the call. If we do not receive a "Yes" or "No" response within 15 seconds, we will assume you are busy and will not attempt to transfer the call.